Pennsylvania's Department of Education has mandated that students at all grade levels must document career and work experiences. The state's economic future depends on having a well-educated and skilled workforce. One way the District decided to present different careers to the students was to create a small manufacturing environment in the Middle School's technology area. The Foundation has agreed to purchase a laser engraver for the new Manufacturing Lab. 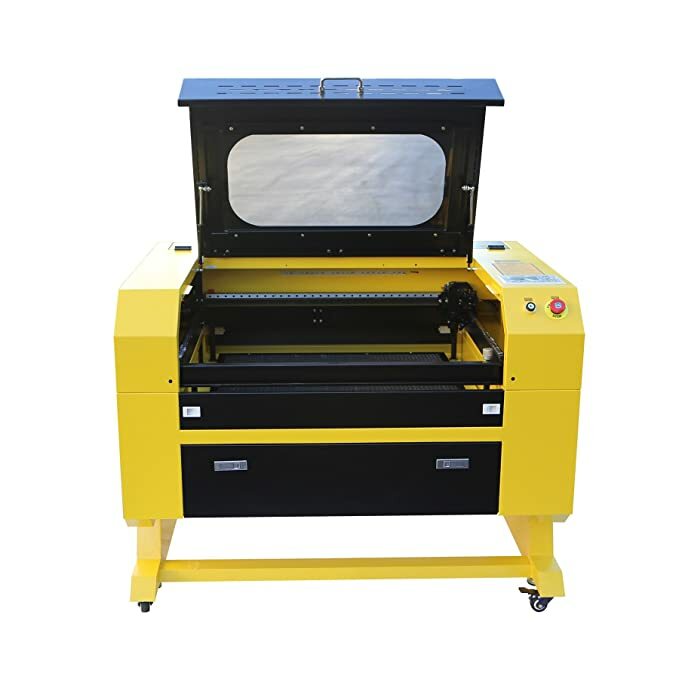 This machine has the capability to engrave and cut many different types of materials. The teacher will be able to model some processes that the students would experience on the floor of a manufacturing facility. The Fairview High School's Librarian, Ms. Kim Crotty, was awarded a mini-grant for a Cricut Maker Machine and supplies. This machine can be used by all students with endless possibilities. The machine has the capability to connect with an I-Pad, further integrating the technology into our school. Some of the ideas for the machine are using it to cut patterns for material for Mrs. Staab's clothing students; Mrs. Daley and Mrs. Wegner's students can use it to create interesting displays for their artwork; STEM students can use it to make parts for a 3D model; and innovation workshop students will be able to use it to cut precise parts for projects. Besides the students, staff members will be able to use it to create visuals for classrooms and hallways. The Foundation is pleased to be able to help the high school increase their creativity! On Friday, December 15th – the Fairview High School hosted a sensory-friendly inclusive dance for the high school Life Skills programs throughout Erie County. The Foundation was proud to support this opportunity by providing the funding for the DJ. This dance greatly benefited the Special Education population at Fairview High School. The students were able to attend a dance at their own school, with their peers, in an environment where they could be successful. The atmosphere was “sensory friendly” meaning the lights were less intense, the music didn’t have as much bass/background noise, and there was support in place for students who needed breaks throughout the experience (headphones, quiet space, etc.). The program was a great success! Congratulations to Ms. Abby Yatsko and her team for all of their hard work. The Foundation awarded a mini-grant to the Elementary School's physical education teacher, Mr. Daniel Skelton, for 5 stationary bikes. Mr. Skelton saw an opportunity for these bikes to be used in several programs. One use would be to assist our special needs population that utilizes the Elementary School for adapted physical education classes. Secondly, they would be used as a cardio station in regular physical education classes for grades 2-4. And finally, they would be used to do a special morning program for grades 3 and 4 ADHD students. Previously, a morning running club was started to help ADHD students burn off energy before the start of the academic school day. Often, instead of burning off energy, the students gained excitement from running and listening to upbeat music. In the Cycling for Success program, students could now use stationary bikes and listen to classical music - this will burn energy, have a more calming effect, and set the appropriate tone for the start of the academic day. Congratulations to Mr. Skelton and FES! The Foundation was able to bring Author & Illustrator, Derek Anderson to FES on Thursday, March 21, 2019. The excitement around the building for Mr. Anderson's visit was evident wherever you looked. The staff and students created scenes from the Anderson books in many of the classroom windows. They read and talked about his books frequently, and then the day finally came! They got to meet him in person and hear him talk about how he came up with the stories for his books and how he draws the pictures. The older students got to hear Mr. Anderson talk about how he never gave up even though he had been told many times that publishers were not interested in his work. We love the positive energy and love of books that Mr. Anderson brought to FES! The Foundation funded this project through EITC donations. The Foundation is proud to be able to purchase Kindergarten readiness kits for all of our new “Tigers” that will starting school in the fall. These kits have great information and skill building tools that students and parents can work on together to ensure a successful start to their career at Fairview. The kits include a usable draw-string bag, magnetic numbers and letters, scissors, a book about Kindergarten, crayons, book of construction paper, and useful information about the Kindergarten teachers and other staff, as well as policies, procedures and expectations at Fairview Elementary School. The Foundation funded this project through EITC donations.